The U.S. Senate must repeal Don’t Ask, Don’t Tell (DADT), one of the most bizarre and contradictory laws in our nation’s history. Gay rights is the civil rights issue of our time. Years from now we will wonder what all the fuss was about. Most younger Americans, including those serving in the military now, already do. Veterans’ groups Veterans for Common Sense and Iraq and Afghanistan Veterans of America want the Senate to repeal DADT. So does President Obama, Defense Secretary Robert Gates, Admiral Mike Mullen, Chairman of the Joint Chiefs of Staff, and General Colin Powell, to name just a few. 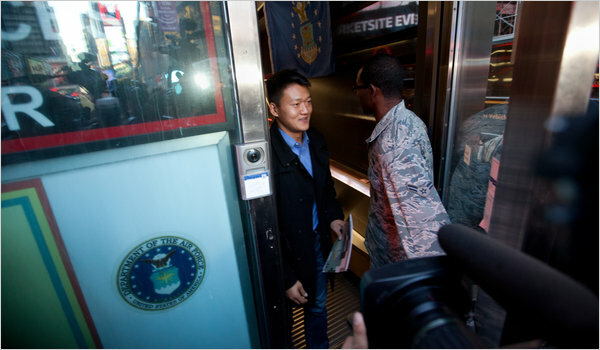 Since October, military recruiters can admit qualified applicants who are openly gay and lesbian. Well, among other things, there are the logistics to consider. But, if anyone can figure out a logistical problem, it’s the U.S. military. I have a feeling they can and will work this out, and do right by their fellow servicemen and women. Of course, there is some reservation about changing the law among the troops. The same survey cited above also found that 30 percent felt there would be “some negative effects” of repealing the law; among those in combat, 40 percent were against it, and among Marines who responded, 46 percent were opposed. So there is some expected reluctance, or should I say homophobia, that comes with such a major change. “…[W]e need to start discussing how to work through repeal. Despite what you’ve heard, this will not be a painful process. If you take a moment to think about it, the only real change is that you’ll no longer pretend that you can’t see the gay elephant in the room — even though it’s been following you around for the past 17 years. Let’s end the hypocrisy of this law and all that it stands for. The U.S. armed forces have a long history of being on the forefront of changing social mores; desegregation and women serving in the military both come to mind. Contact your senator’s office today and tell them you want the law repealed. If you live in Massachusetts, Senator Scott Brown’s direct line is: 202-224-4543. I just called and it took about 3 minutes, including the time I was on hold. I don’t think we have to worry about Senator Kerry doing the right thing.